Southwest Michigan Regional Airport (KBEH) is owned by the cities of Benton Harbor and St. Joseph. The Southwest Michigan Regional Airport (BEH) Authority was established in 1997 and is responsible for the airport operations. The Airport Authority is comprised of six municipalities: the Cities of Benton Harbor and St. Joseph, St. Joseph Charter Township and Lincoln Charter Township, Royalton Township, and Benton Charter Township which contribute millage revenue for the purposes of airport operations. One member represents each of the six municipalities on the Airport Authority Board. The Authority Board meets monthly on the third Thursday. 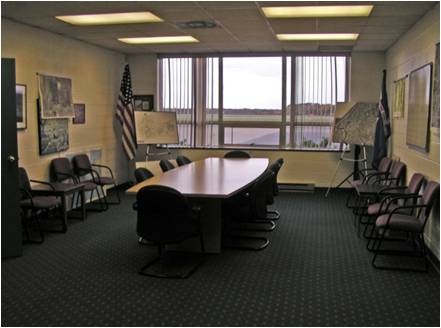 Board Meetings are held in the Airport Conference Room and are open to the public. For more information, dates and times, call the Administrative Offices at (269) 927-3194 ext 10. Benefiting Business & Communities. In addition to the 64 privately owned aircraft housed at our airport, we are also home to several corporate aircraft, including a Fortune 500 international corporation fleet. Over 400 companies from all over the US and Canada annually fly their aircraft into Southwest Michigan Regional Airport (KBEH). The latest economic impact estimate conducted (2014) by Michigan DOT showed the airport's contribution to the local economy to be $30 million. The airport has air cargo activity with UPS flights and other local charter operators delivering material for just-in-time manufacturing. In addition, the airport is important in the times of medical emergencies; either transferring critically ill patients or as organ donor transport. The US Coast Guard utilizes the airport for refueling during operations on Lake Michigan.